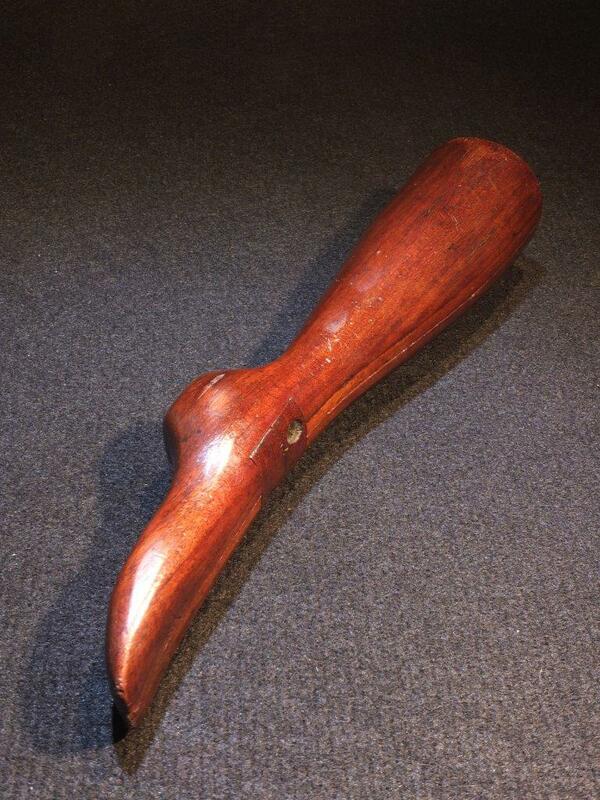 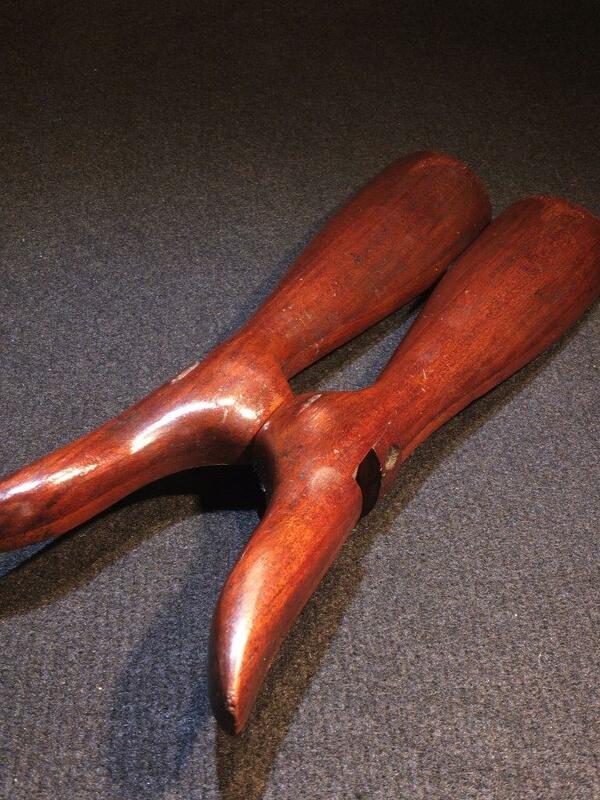 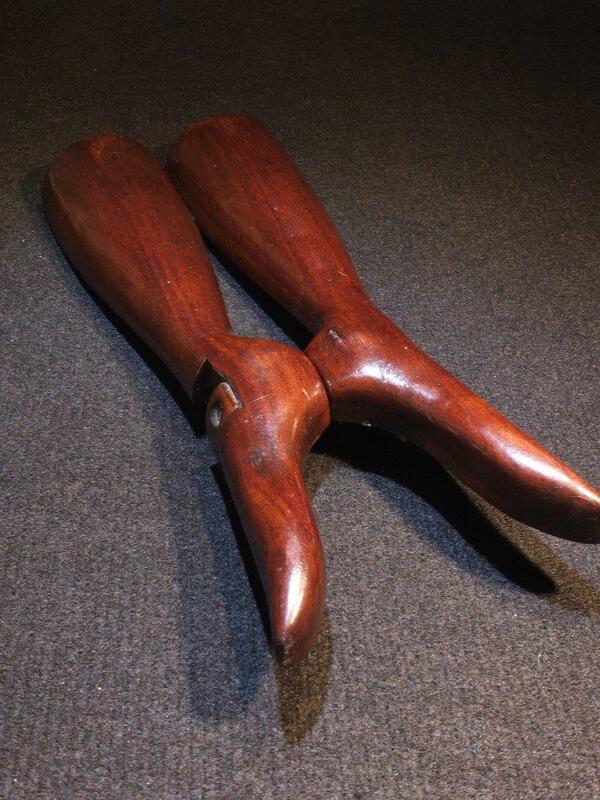 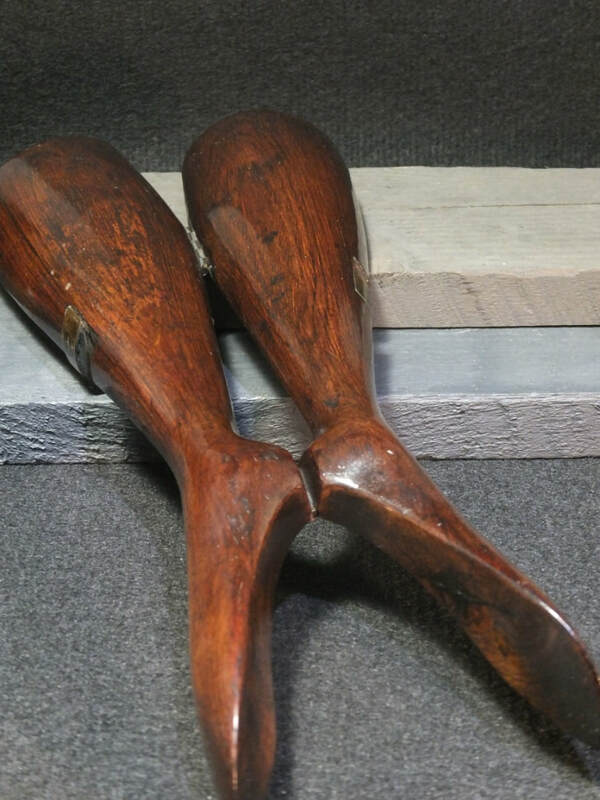 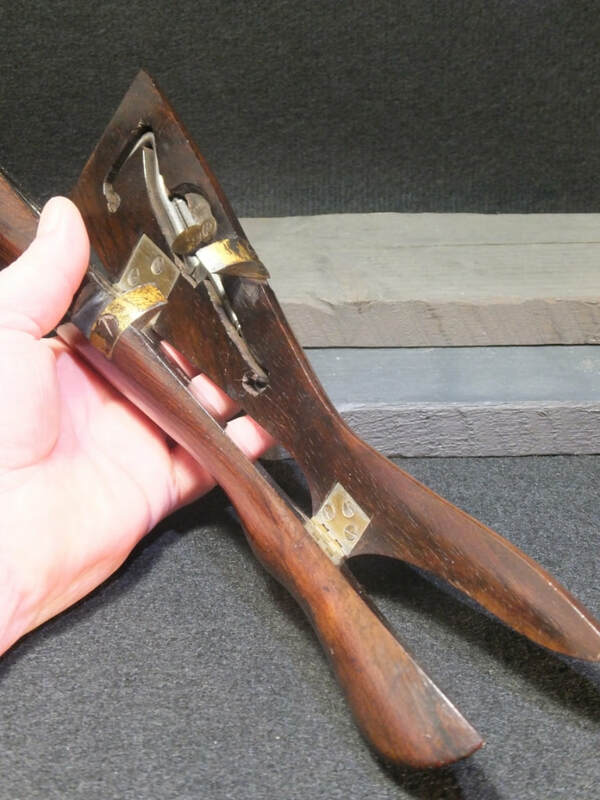 An exceptional mid-19th century rosewood boot jack in the form of a leg. 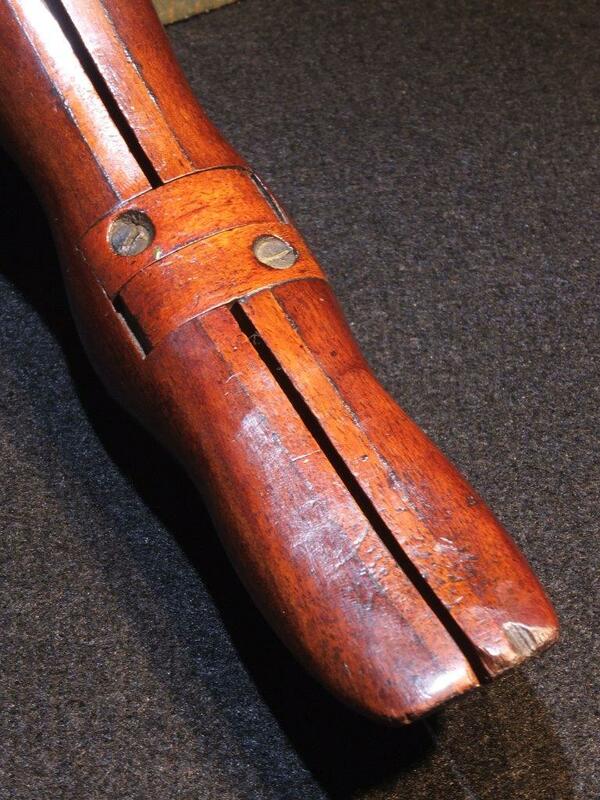 When opened the inside is fitted with original cut steel boot pulls and button hooks. 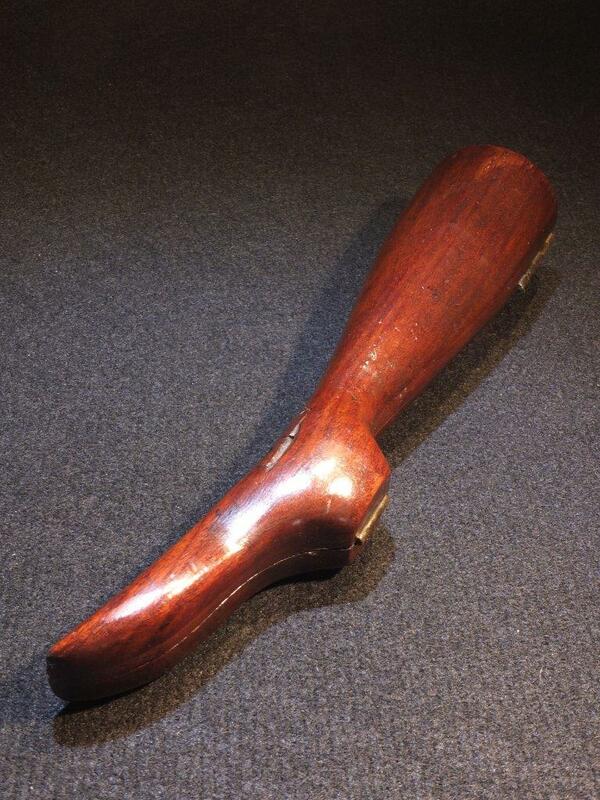 30 cm long, one foot long!